When conventional hair removal methods like shaving, waxing, epilating and hair removal cream don’t work to one’s full satisfaction, some people look to lasers as a possible solution. What have you heard about lasers for hair removal? It’s expensive, and doesn’t always work? If that’s what you have heard, it is absolutely true. It can cost thousands of dollars to have the hair on your legs permanently removed. And that’s just the legs. The legs are what women struggle the most with, being the biggest part of the body that requires hair removal treatment. Leg hair is often something we really, really wish we didn’t have, and we go to great lengths to achieve this. You will need multiple treatments at a professional laser studio until the hair stops growing. And even if it does, it might start to grow back in a few years. Home laser hair removal kits are something a lot of women turn to as a cheaper option. If you have a home kit, you can perform treatments whenever you have time – it’s better than making appointments at salons and then waiting – and you can perform treatments not only on your legs but anywhere else you want. 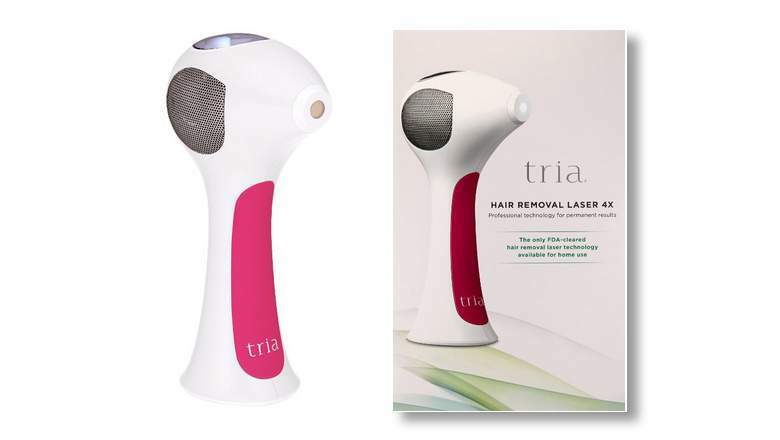 One such home kit is the Tria hair removal laser kit. Does it work? To answer this question, we first need to know how laser hair removal works. A laser is a thin, concentrated beam of light aimed at hair follicles. It is supposed to destroy the follicle so the hair won’t grow back. The hair will fall out within a few days of the treatment, and not all the hair will be caught in one session. You would need to have several if you want every hair removed. What is the cost of Tria compared to having laser treatment done by a professional? A clinic will charge around $8,000 only for your legs. It’s not something most people can afford, even very wealthy people. Part of the money goes to the laser technician or doctor, of course, to make sure the treatment is performed correctly because lasers can be dangerous. You have to wear special glasses to protect your eyes. If you don’t or don’t wear the right kind, you could sustain permanent eye damage. An untrained technician or doctor could also cause skin damage and whatnot, so if an offer looks too good to be true, it probably is. What are the implications of this? Very few at-home laser hair removal devices have been approved by the government. Tria is one of the few, actually. Women who have purchased this product report overwhelmingly positive results. Keep in mind that it doesn’t work for dark-skinned women. Why not? The sensor cannot distinguish the skin from the hair because of the limited contrast. Tria works best if the hair is dark, and the skin – pale. Customers report a decrease of 95% of body hair. You’ll have to find a way to deal with the rest!